There has never been another movie like Boyhood, from director Richard Linklater. An event film of the utmost modesty, it was shot over the course of twelve years in the director’s native Texas and charts the physical and emotional changes experienced by a child named Mason (Ellar Coltrane), his divorced parents (Patricia Arquette, who won an Oscar for her performance, and Ethan Hawke), and his older sister (Lorelei Linklater). Alighting not on milestones but on the small, in-between moments that make up our lives, Linklater fashions a flawlessly acted, often funny portrait that flows effortlessly from one year to the next. Allowing us to watch people age on film with documentary realism while gripping us in a fictional narrative of exquisite everydayness, Boyhood has a power that only the art of cinema could harness. When I first heard about the film's undeniably ambitious scope, I was cautiously optimistic. While shooting the same movie with the same aging cast over a twelve year period is a potentially fascinating concept, I was a bit worried that this conceit would prove to be a simple gimmick. After all, watching child actors age on screen is hardly groundbreaking. We see it happen all the time on various TV sitcoms and dramas, or even in film series like Francois Truffaut's 'Antoine Doinel' movies and the 'Harry Potter' franchise. But thankfully, what Linklater has done here is quite different from anything that has come before, creating a cinematic examination of passing time like no other. Transitions throughout the years prove to be both seamless and abrupt, with Linklater rarely offering any clear segue from vignette to vignette. Instead, despite the inherently fragmented narrative and production, all of the separate pieces feel like a cohesive whole, and we are left to decipher the shifts in time through Mason's growing face and changing voice. Likewise, audiences can also follow the moving years through little background details, like the electronics the characters use, music they listen to, news they watch, and politics they discuss. Together, each year blends into the next, resulting in distinct yet organic segments that chronicle Mason and his family. We watch Mason go through his awkward years, only to learn that in reality, from birth until death -- they're all awkward years. Whether we're in our teens or fifties, we remain stumbling, confused, strange little creatures, struggling to learn how to walk and forever aching to discover who we are. As Mason and his family reveal, childhood and adulthood are really just insignificant labels, marking vague stepping stones across one single moment -- an infinite now filled with hardship and possibilities. So much more than just a mere gimmick, Linklater's multi-year production allows us to feel the very reality of growth, to examine its evolution before our eyes, engendering all the paradoxical loss and progress that comes with each shifting year. 'Boyhood' is a striking achievement, a thought-provoking experiment in cinematic production, and an unassumingly beautiful film. By actually going through the twelve year process in front of and behind the camera, Linklater constructs a cinematic coming-of-age story where both form and content experience the full, bittersweet weight of time. 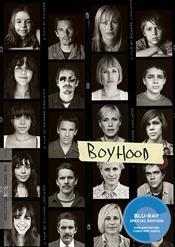 Criterion brings 'Boyhood' to Blu-ray in a 2-Disc set housed in the company's standard clear keepcase with spine number 839. The film and commentary are presented on a BD-50 disc while the remainder of the supplements are included on a separate BD-25 disc. The packaging indicates the release is region A coded. A booklet with an essay by novelist Jonathan Lethem is also included. The 35mm source print is in great shape with a natural layer of light grain visible throughout, and only some very negligible specks here and there. Linklater employs a very naturalistic style, resulting in an understated but beautiful picture. Though not razor sharp, clarity is pleasing and the video offers a good sense of dimension. Colors are realistic yet still vivid, and the palette favors light greens, blues, and yellows. Contrast is also well balanced with even whites and blacks. With that said, grain in dark scenes tends to look a tad heavy and slightly clumpy. Thankfully, I detected no major signs of compression or digital artifacts. Like the video, the audio is fairly modest in design, and while this subtle quality works very well, the mix does lack notable surround sound presence. Criterion has put together an extensive assortment of new supplements, including a commentary and a making of documentary. With that said, this disc does not include the two bonus features found on the previous Paramount release, but the extras here cover similar ground in more detail. All of the supplements are presented in 1080p with Dolby Digital sound. Commentary - Recorded in December 2015, this commentary features director Richard Linklater and nine members of the cast and crew. The participants offer a steady and very worthwhile discussion, elaborating on the shoot, cut material, locations, budget, transitions, casting, music choices, the unconventional scripting process, and the overall experience of completing the movie. 12 Years (HD, 49 min) – This is a comprehensive behind-the-scenes doc made by the Criterion Collection in 2015 tracing the movie's unique 12-year production with on-set footage and interviews with the cast and crew throughout the process. Memories of the Present (HD, 58 min) - This is a 2015 conversation between Linklater, Patricia Arquette, and Ellar Coltrane moderated by producer John Pierson. The group looks back at the 12-year shoot, offering details on the process and their reactions after viewing the completed film. Always Now (HD, 30 min) – Here we get a 2015 conversation between Ellar Coltrane and Ethan Hawke. The duo addresses the movie's examination of time, the general nature of memories, what it was like working together and with the director, and the festival experience after the movie's completion, rounding out a thoughtful discussion. Through the Years (HD, 24 min) – Here we get a selection of photos from the book "Boyhood: Twelve Years on Film" while the cast and crew read from personal essays they wrote for the book. 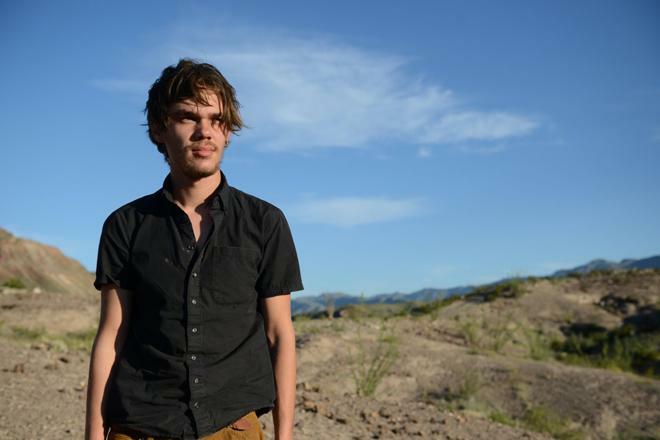 Richard Linklater's 'Boyhood' is an unassumingly beautiful film. So much more than just a mere gimmick, the movie's ambitious twelve-year production allows the audience to feel the narrative's passage of time in a deeply emotional and resonant manner, creating one of cinema's most unique and honest coming-of-age stories. The video transfer is strong and the audio mix is appropriately modest and effective. Improving upon the previous release, this new 2-Disc set from Criterion offers a comprehensive collection of interesting supplements, providing some great insights into the film's fascinating production. For viewers who don't own the movie on Blu-ray yet, or for big fans interested in the new special features, this release is very highly recommended.